The women of Sisterhood joined TERRY MULDOON of Steel Margarita Band in an interactive workshop. 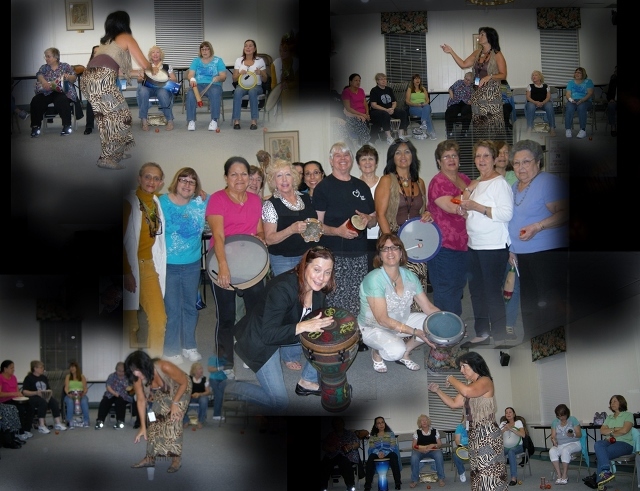 The women found that drumming is a powerful force! Besides rhythm and making music, a DRUM CIRCLE can bring peace, joy, relaxation, healing, and reduced stress. It is a form of musical meditation.